Tangkahan well-known as the hidden paradise of Gunung Leuser National Park, is an Eco Tourism area in the Langkat district of North Sumatra. The peaceful jungle retreat is located along the Kualsa Buluh River next to the dense rainforest, just 2.5 hours far from Bukit Lawang driving on a bumpy road through Palm oil plantations and rural villages. 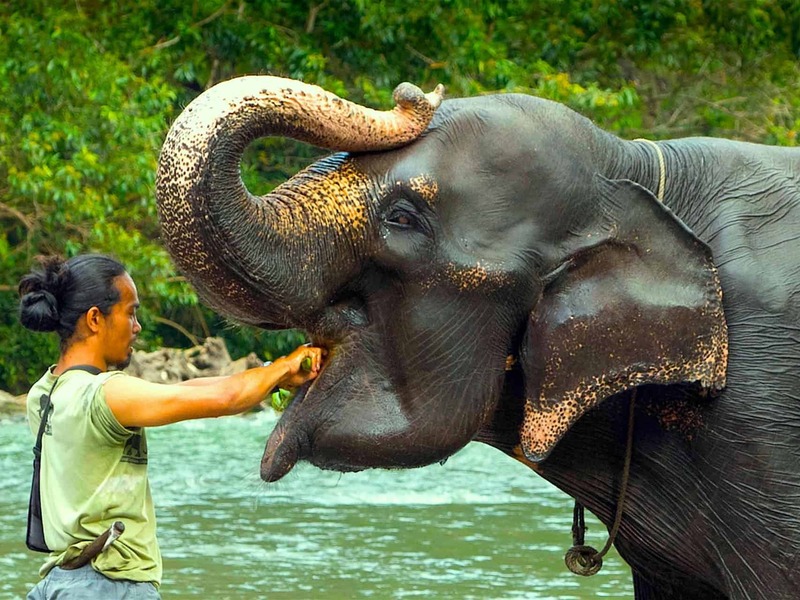 It is the perfect place to lay back from strong traveling and spend a memorable time with seven rehabilitated adult Sumatran elephants and a few small calves. This tiny, remote village was practically built on the logging trade in the 1980s and 1990s, because the people became aware of the damages by such activity. They collectively decided to stop illegal logging and transform the area into an functional, self-sustained ecotourism destination. So in April 2001 the community banded together to form the Tangkahan Tourist Institute (Lembaga Pariwisata Tangkahan – LPT) and fixed regulations prohibiting the exploitation of the surrounding rainforest. So the Conservation Response Unit (CRU) was born – a team of Sumatran elephants and their mahouts that helps safeguard the national park to protect it from encroachment. 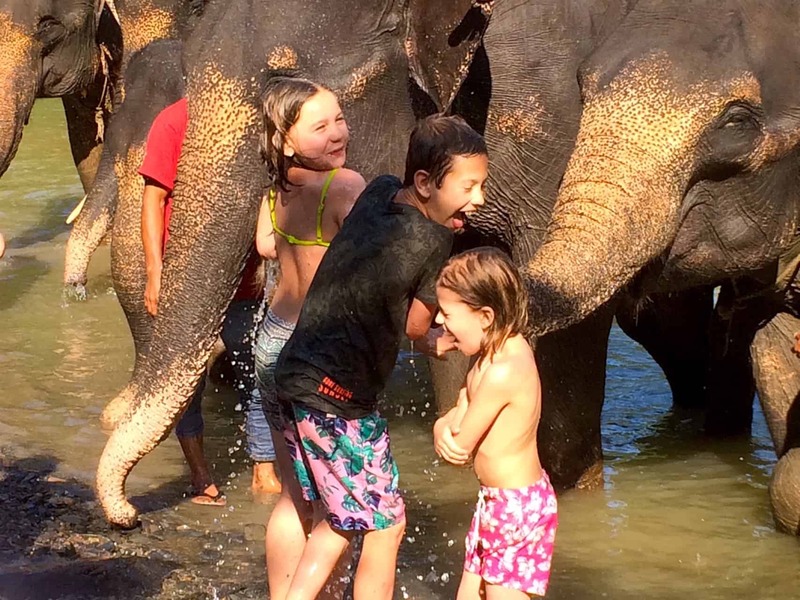 By joining the elephants by their afternoon bathing you will support this local initiative. 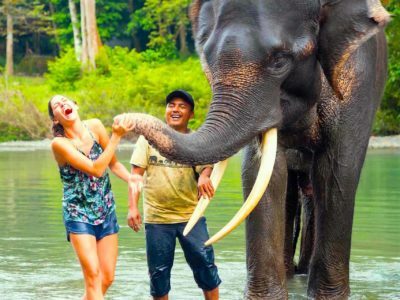 Although elephant activity is under worldwide criticism we are still supporting this ecotourism project in Tangkahan as it is unique for Indonesia. Even at a higher price it is still a controlled activity and supports the elephants as well as the villagers in and around Tangkahan. 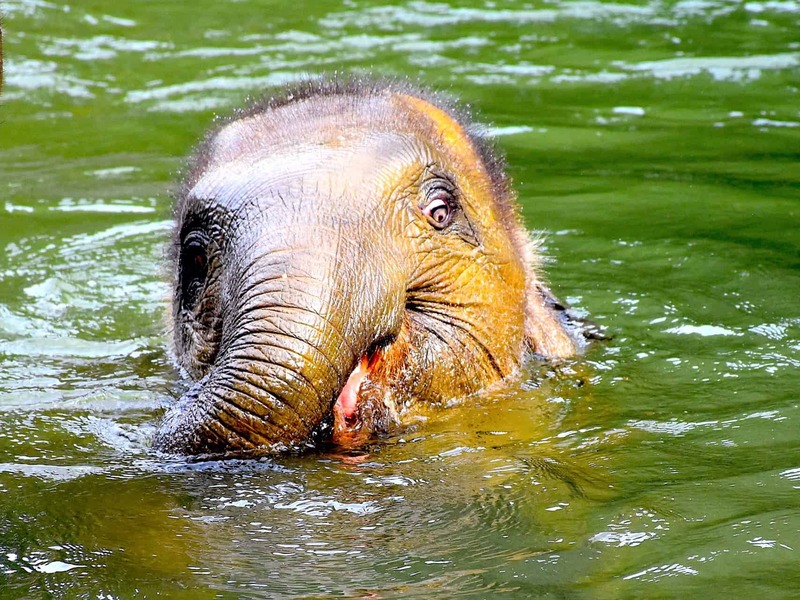 To remove the elephant activity from our program would weaken CRU/LPT and is not an alternative for the time being. We are excited to be launching a new elephant experience on October 1st 2017: “Walking With Elephants”or “Angon Gajah” is a new tour developed for visitors who want to be close with elephants in their natural environment. This new exclusive and intimate 3-hours tour gives EcoTravel guests the chance to spend time with the mahouts, help wash the elephants in the river and walk alongside the elephants as they explore their natural jungle environment. Tangkahan can be enjoyed as part of our packages Orangutans & Elephants, Sumatra Highlights or Sumatra XL.